Knowledge and skills to perform safe, efficient and effective confined space entries in the workplace. The hazards associated with confined spaces can be particularly dangerous to the inexperienced person. Confined spaces have the potential to kill without warning and in the worst case scenarios they can cause multiple fatalities. It is therefore imperative that anyone who is required to perform confined space entries in the workplace is trained to perform this function efficiently and effectively. The aim of this training course is to provide the participants with the knowledge and skills to perform safe, efficient and effective confined space entries in the workplace. This session clearly explains the aim of the course and gives an overview of all the main points that will be covered in the course. It also provides the participants with a basic understanding of confined space safety in the workplace by covering information such as: the definition of a confined space, why confined spaces are hazardous, what are the hazards, etc. This session informs the participants of what they need to know in order to prepare a confined space for the safe entry of personnel. It includes things like: isolating the confined space, releasing any stored hazardous energies, tagout, lockout, verifying there are no uncontrolled hazardous energies, performing purging, ventilation and atmospheric testing functions, etc. 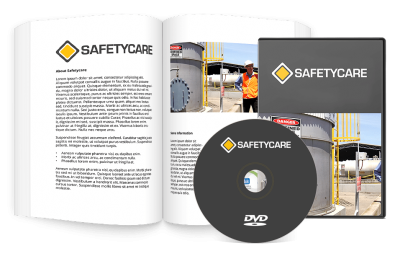 This session looks in detail at the safety precautions that need to be observed and the emergency controls that should be in place prior to anyone entering a confined space and while anyone is working in the confined space. It also covers the confined space exit requirements and all the steps that need to be followed to ensure the confined space is left in a safe condition ready to return to service. This session starts with a review of all the key learning points which have been covered during the course This session then concludes with a written questionnaire which tests the knowledge of the participants in relation to the subject of confined space entry in their workplace. The final session in this course is a practical confined space entry exercise. This exercise is designed to ensure that the participants are able to apply the knowledge they have learnt during the training course.